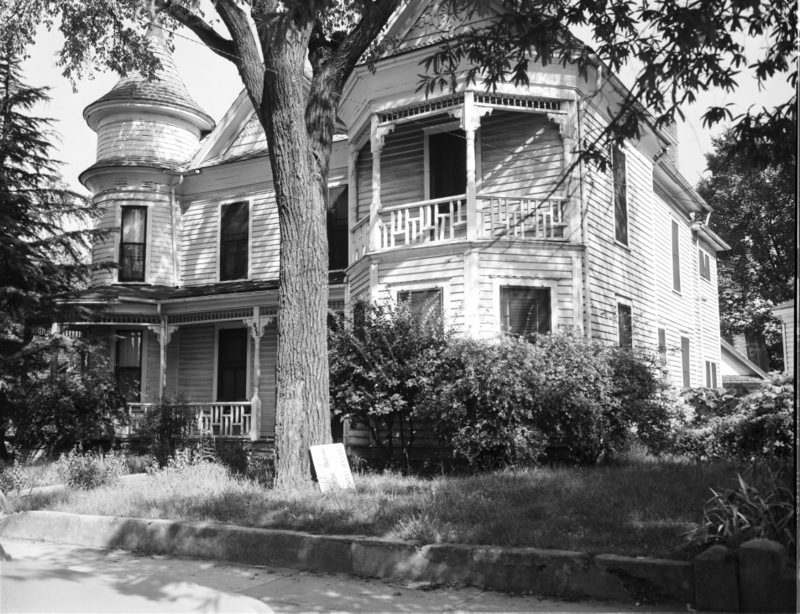 Alton S. Hobgood, attorney; office 128 West Main lived here in 1919.
that alternating railing pattern appeared in other homes in the neighborhood. We copied it for our deck at 406 Oakwood. 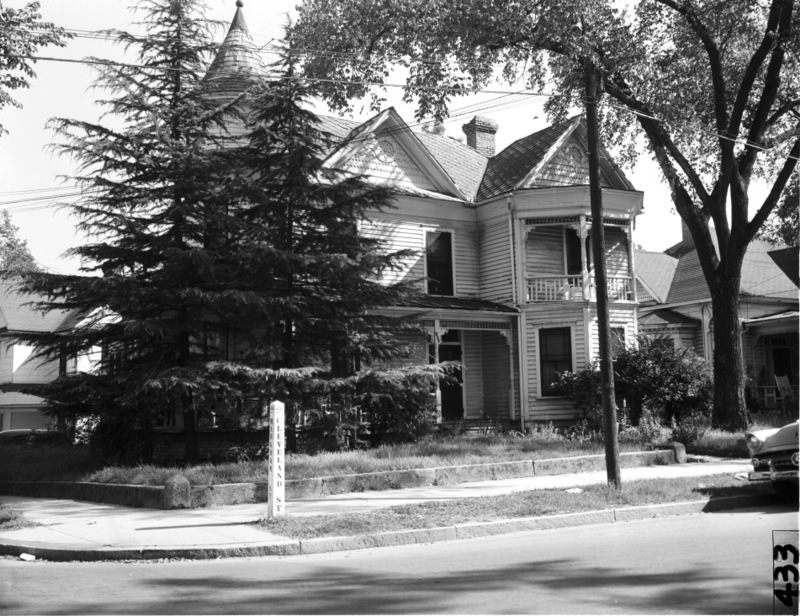 In 1958 I was in the fourth grade at fuller school and I walked by this house on the way to school.I only lived two blocks away on markham street .The name was changed to mallard ave a year or so later,You can see markham on the street marker.I loved those old street sign posts ,wish the city stilled used them.Sadly when you are that age those old houses don`t have the same charm that they have now. After all these years I don`t have any pictures from the old neighborhood,but we are lucky to have your web page Gary .I enjoy seeing these old houses again.THANK YOU ! 1919 Resident: Alton S. Hobgood, attorney; office 128 West Main.